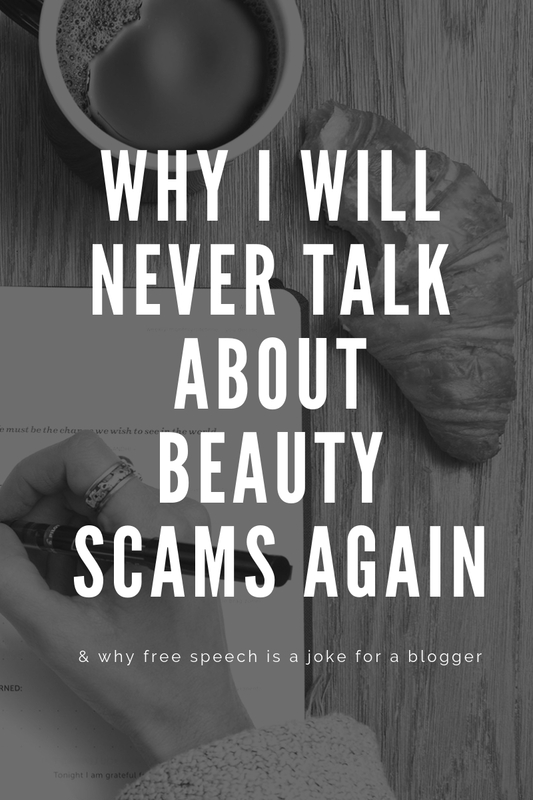 WHY I WILL NEVER TALK ABOUT BEAUTY SCAMS AGAIN AND WHY FREE SPEECH IS A JOKE FOR A BLOGGER! 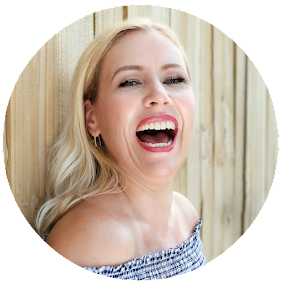 If you are a long time reader of this blog, then you might know, that I shared often beauty scams with you, if I happened to stumble upon them - but if you don´t know this, you can still read some of my past discoveries of beauty scams here. However, the number of my beauty scam articles goes down by the week... why you ask? This year I have found myself in a very unpleasant situation: a company was absolutely not amused by one of my articles that revealed the truth about them. A $100.000 lawsuit against me! And ladies: this was scary! I felt like in opposite world: I have to be scared getting served by a Sheriff? As if I am the criminal!? I revealed in my article nothing but the truth and I do have proof for it. Then why did I not go to court, you might wonder? Because unfortunately I do not trust the system. I do not trust that the jury will understand everything that I have discovered and I do believe that in this world many times not the person that has right wins the process, but who pays the better attorney and therefor has more money. And I know they do have the money. And I don´t. So for many month we worked on a settlement agreement. Which means: I am shutting my mouth, staying quiet about this. And no, I obviously won´t tell you which company this was. But there is more: while this was the only (thank god) lawsuit filed against me, to my surprise I have received more letters this year from multiple lawyers that want me to remove articles in regarding of other beauty scams that I have revealed. And maybe you think that I was naive to write about all these things- but I always thought that I do something good here: telling you the truth and hoping that you won´t spend your money on scammers! And that is why, one by one these articles get deleted... by myself. To avoid further complications, lawsuits and stress. They shut me down and they won. As a blogger I do have the right of free speech, but once you get served a lawsuit, who is really strong enough to stand up for the truth? I am not. I want a peaceful life for my family and me and that is why I will no longer in the future reveal any beauty scams. They won. They shut me down and I will keep quiet. What is left, is me begging you to always do your own research before buying anything. If you dig deep enough, you will find the truth. But always remember: not everything on the Internet is true. 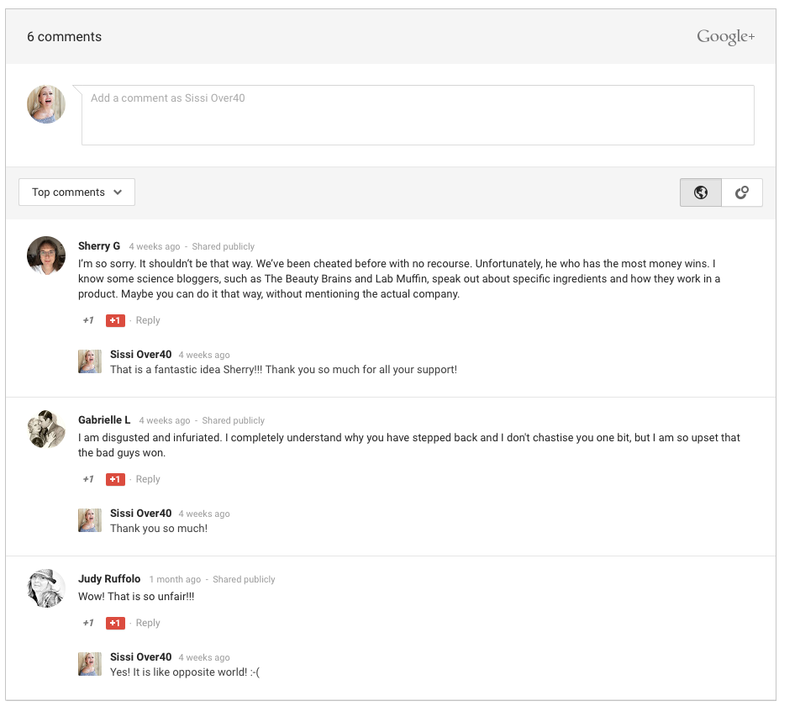 Find bloggers and sites that you can trust!